Ms. Wollner was originally selected for inclusion in EliteAMERICAN Health Professionals in 2014 and 2015. 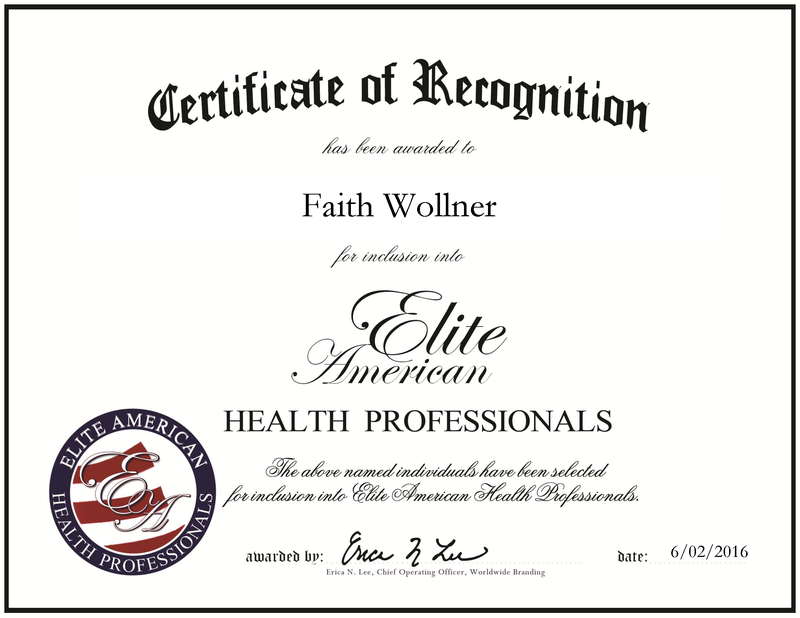 We are proud to be featuring Ms. Wollner again in EliteAMERICAN Health Professionals for 2016. This entry was posted in Holistic Medicine and tagged health practitioner, holistic, master, reiki, teacher, yoga. Bookmark the permalink.